Steering has good - just short of excellent - feel with no slop or free play. With the introduction of the C5, the reviews added the term "refined". 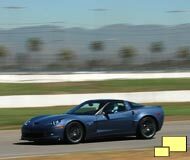 We can also say that the 2011 Corvette Z06 has "balance", meaning that all the important areas of a great sports car: handling, power, stopping along with the right sounds exist in equal amounts such that one factor does not crowd out the others. Hard cornering, be it a high speed sweeper or tight quick chicane, are accomplished easily with no drama. 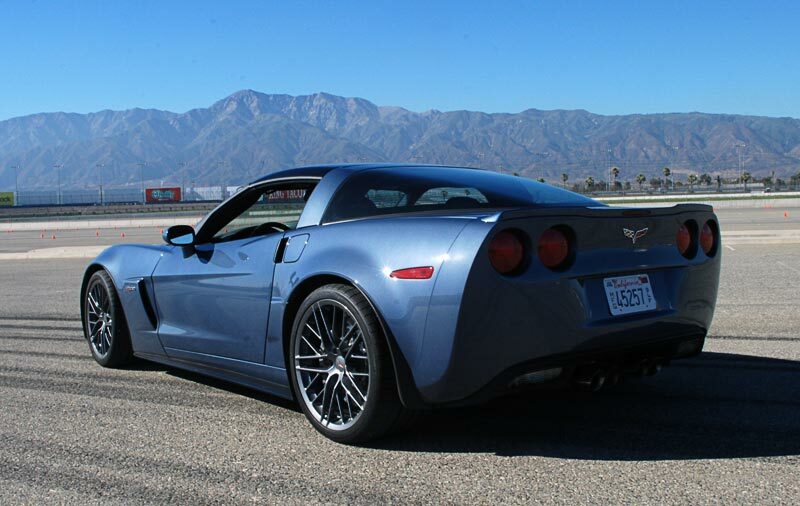 Comfort is there and you get the feeling that you could not only street drive the Z06 Corvette all day long, you could also track drive a full shift and not feel beaten up or stressed. 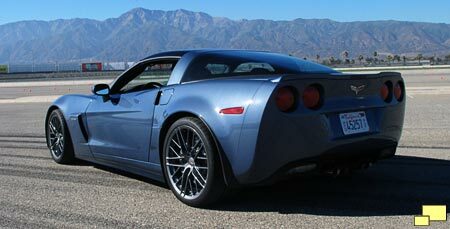 Visibility, a problem for many exotics, is great with the 'vette. And the sound; it's a tough decision, the high pitched wail of a 12 cylinder or that wonderful rumble of the LS7 at idle and ground pounding 6,000 RPM. 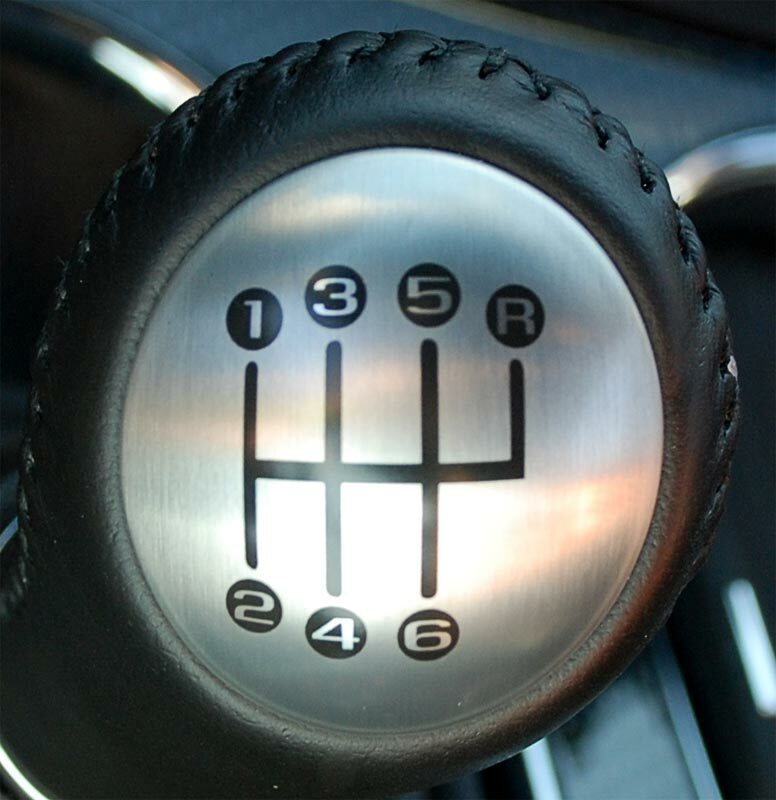 Shifting of the manual six speed, which saw a substantial improvement with the introduction of the C6 and has since benefited from incremental upgrades, is just about perfect. The fact that the shift mechanism and the transmission are one unit as opposed to being separated by two feet is a clear advantage. Clutch action is excellent with just the right amount of effort required. Special mention goes to the MRC (Magnetic Ride Control) System. The technical name for the technology is magnetorheological, but other than to offer a link to the Wikipedia definition, we'll leave it at that. The system can be thought of as a (almost) infinitely and (almost) instantly adjustable shock absorber. A computer is in control of this SuperShock and the result is the best of both worlds: just enough stiffness to keep body sway under control during hard cornering AND a high quality ride for regular street use. 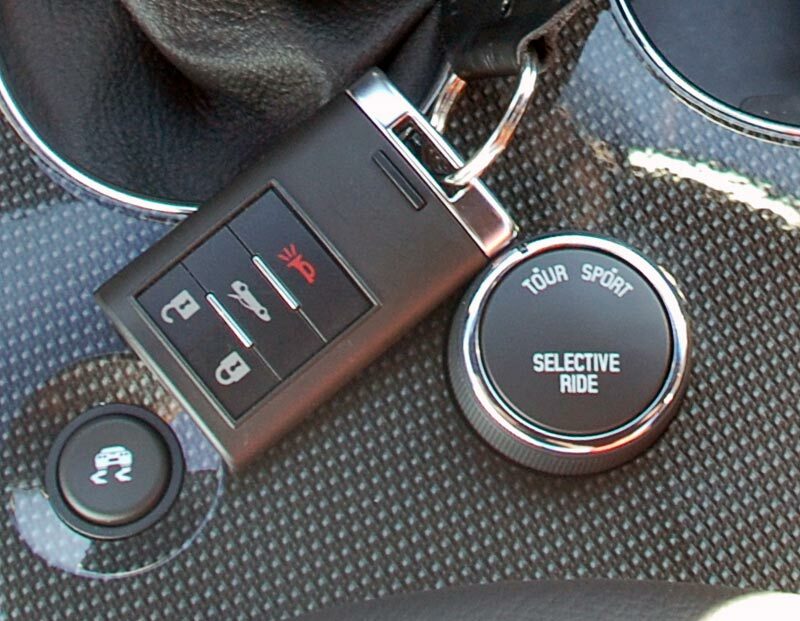 Right: The two mode Magnetic Ride Control adjustment selector. There are two choices, Tour and Sport. The real value behind the Magnetic Ride Control is that it allows a car with suspension settings that are ideal for a race track to ride exceptionally well during typical street driving. Lap times won't be any different, but the real benefit is that the drive to and from the race track won't be filled with bone rattling misery. 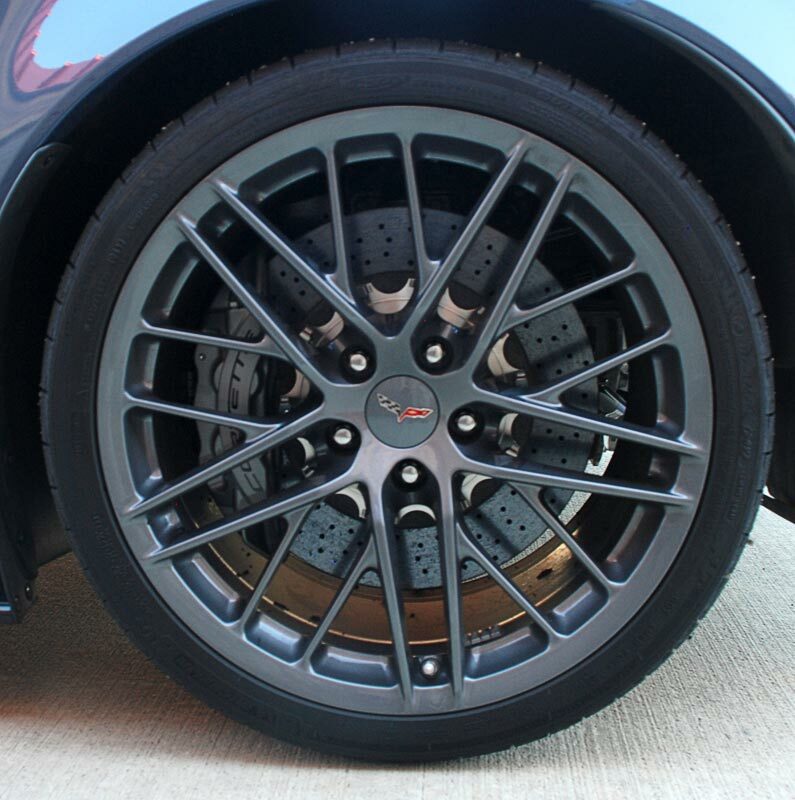 Below left: The test car's 20-spoke 20-inch (12-inch wide) rear wheel. 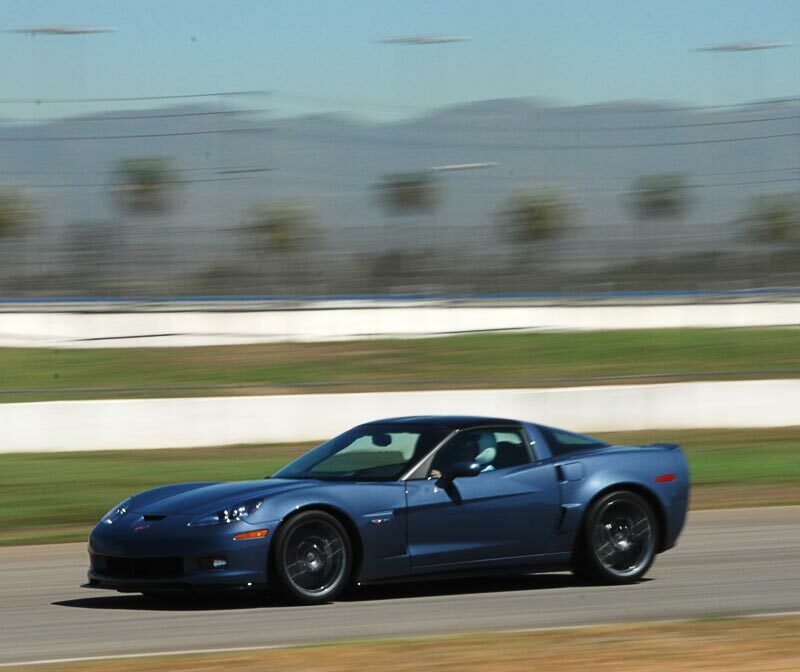 Middle: A manual is and has been the only transmission available on a Z06; this includes the original four speed 1963 cars and the six speed Z06s manufactured starting in 2001. 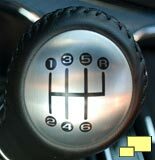 An automatic transmission or a paddle shift configuration is not available. 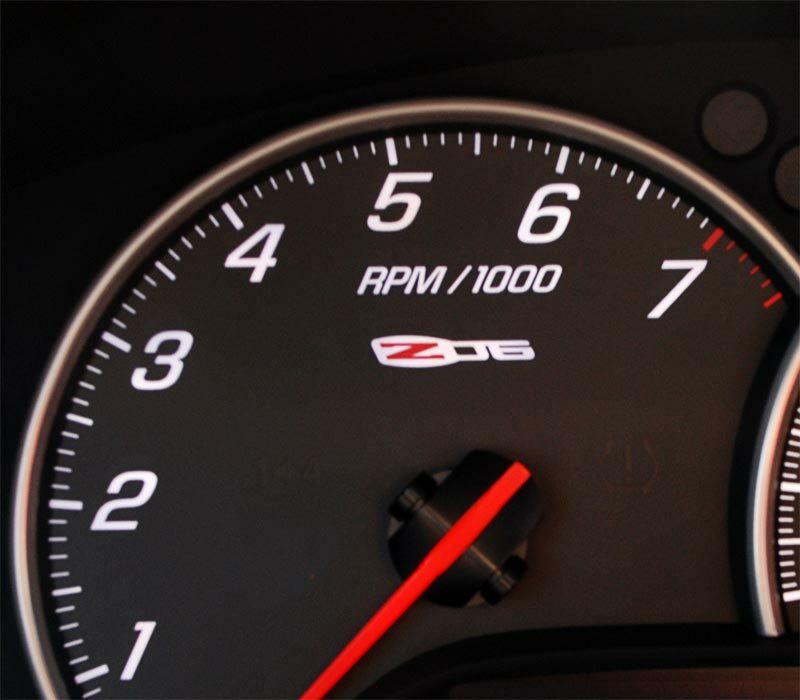 Right: Note the 7,000 RPM redline of the 427 cubic inch / 7.0 liter displacement LS7 motor. Compare this to the 1967 big block Corvette which offered the same displacement but with a 6,000 RPM redline and a 5,400 RPM warning and you get a new appreciation for the engineering effort put into the LS7 engine. Other reviews took issue with the C6 Corvette interior, but while I wasn't blown away by it, I found it easy to use and it all felt right. The interior is much like the way Corvette interiors since the C2 have always been; no nonsense, easy to use and the job gets done. Trendy "upgrades" such as wood grain or carbon fiber highlights would be a mistake. 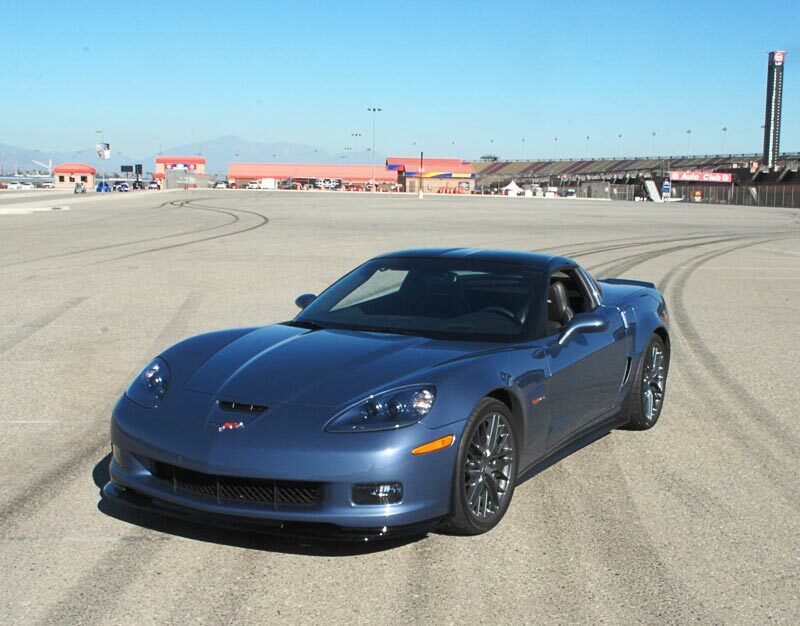 The seats, especially if you intend to pursue the Z06's race track destiny, do need improvement. They are comfortable for sure, and can accomodate a wide range of body shapes. But they are lacking in lateral support and they do not keep the driver in a solid position during hard cornering. This is easily improved courtesy of a number of aftermarket suppliers. Still making that choice via the official options list as opposed to forcing owners to fend for themselves would go a long way towards improving the Corvette Z06's track credibility. Cadillac CTS-V Coupe buyers can specify Recaro Performance Seats for an extra $3400; surely Corvette owners should have the same opportunity.